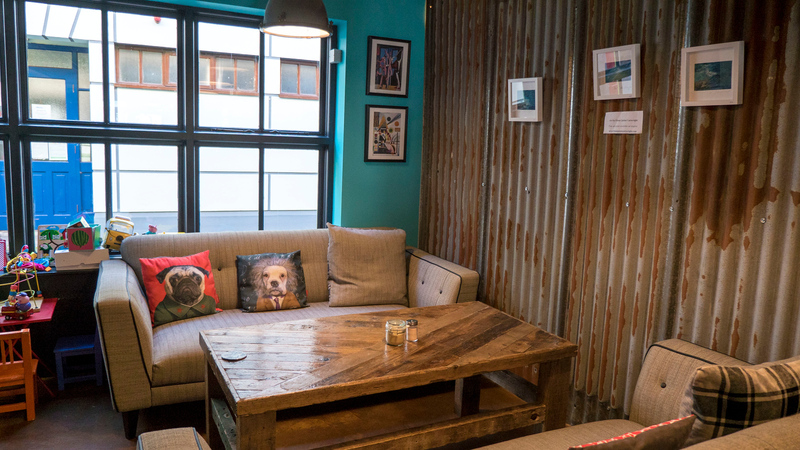 Peckish vegan cafe: the Ennis restaurant that’s well worth the trip! 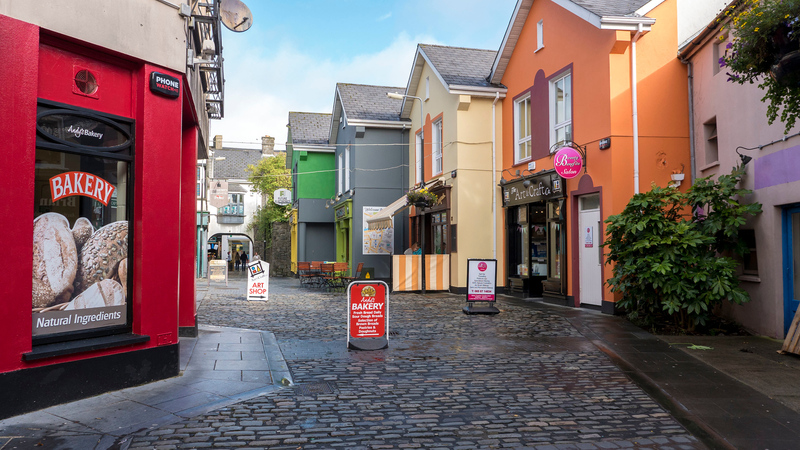 Nestled between Galway and Limerick, you’ll find the idyllic town of Ennis, Ireland. It was a lazy morning in Ennis when I stopped after an early morning hike at The Burren. En route to Limerick, I was starving and seeking some sustenance. Thankfully, Peckish Vegan Cafe served up hearty and nourishing plant-based meals, one of which fueled the rest of my busy travels (until dinner time!). I didn’t spend much time in Ennis. It was my full intention to return to Ennis on my three week trip around Ireland. There was a last minute change in plans where I decided to spend a day at the Aran Islands and I ran out of time. Unfortunately, I didn’t get to spend hardly any time in Ennis, but I’d love to return in the future. 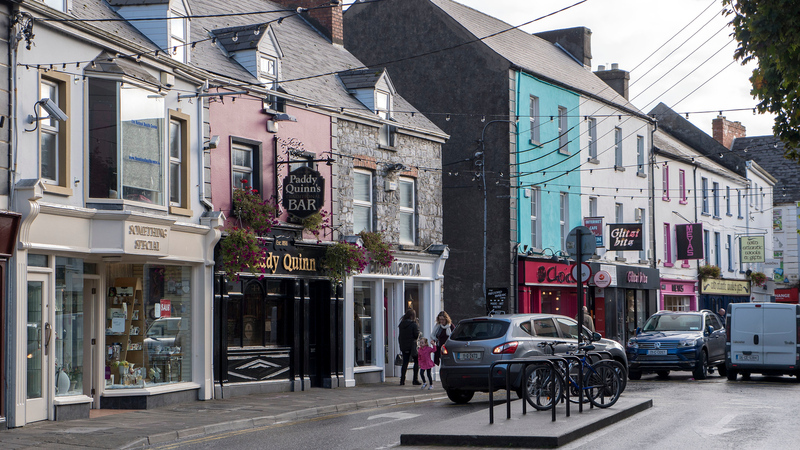 Like so many towns in Ireland, I immediately fell for the brightly painted buildings. However, the first thing I noticed was a quirky and interesting sculpture in the middle of a roundabout. It depicts a market day scene, where two men haggle over the price of a cow. After all, Ennis is historically an important market town and still hosts a weekly market every Saturday. 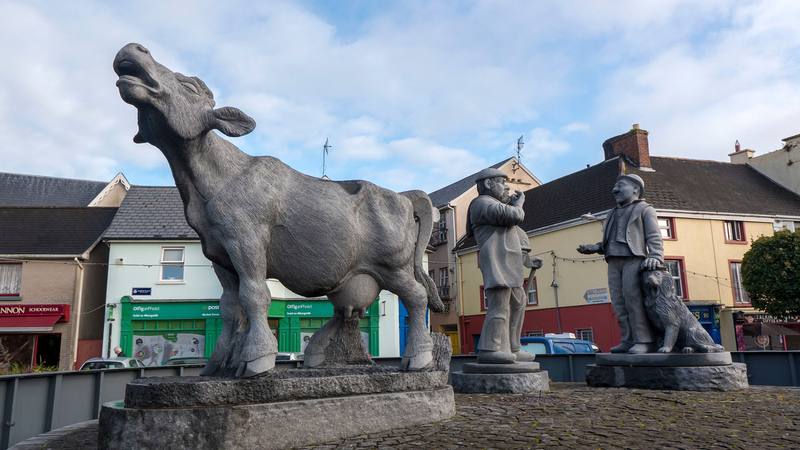 Apparently, Ennis has an entire sculpture trail, which I’ll need to return to see! 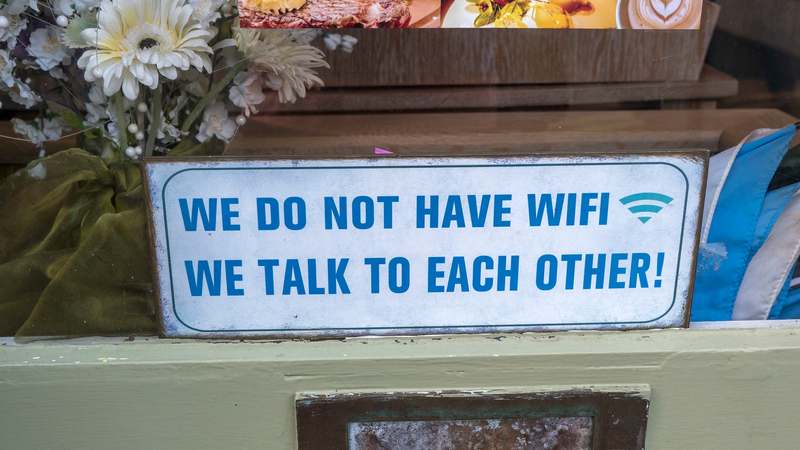 Next, in one of the shop windows, I came across this sign: “We do not have Wi-Fi. We talk to each other!” Perhaps the people of Ennis are funny, with a little bit of an attitude? (I love it). 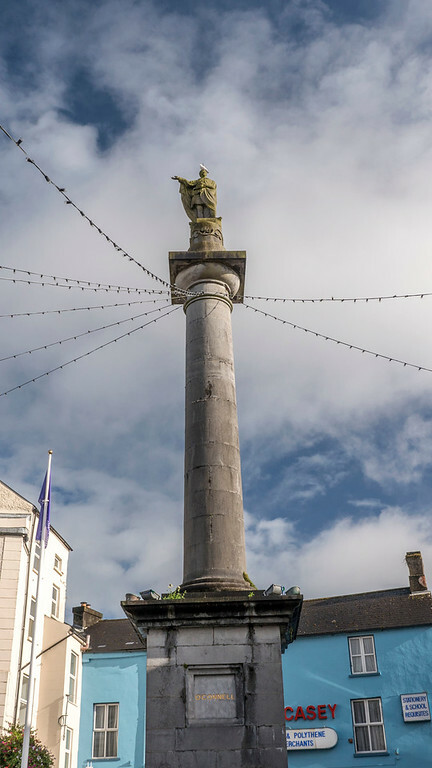 And then there’s a monument in the middle of town, devoted to Daniel O’Connell. 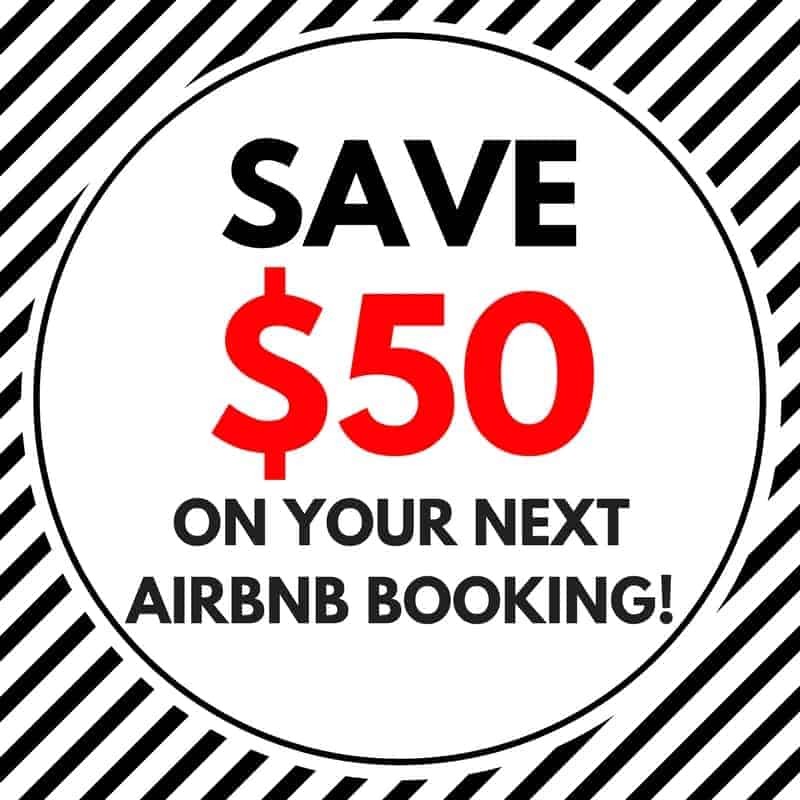 You can’t miss it. The statue is positioned way up high on a pedestal, overlooking the city. 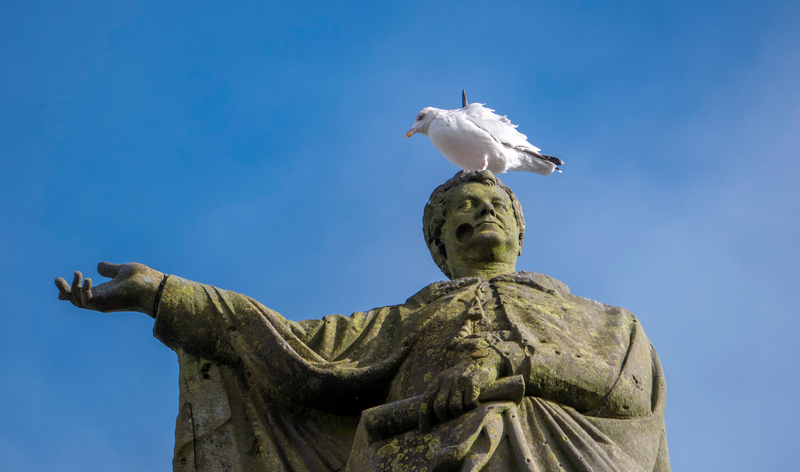 Apparently, this seagull enjoyed sitting up there, basking in the sunlight. I noticed that Ennis was declared the Tidiest Town in 2012 and 2013 in the Large Urban Centre category. Upon returning home, I discovered that Ennis won the award for Ireland’s Cleanest Town for 2017, as declared by Irish Business Against Litter (IBAL). Go Ennis! 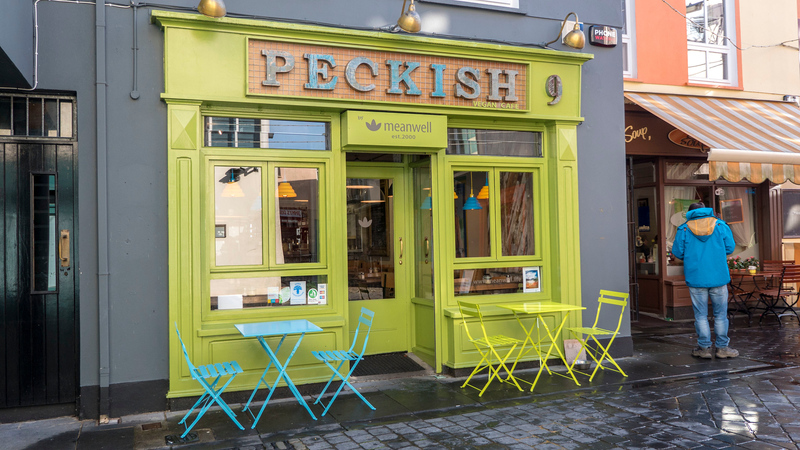 Other than briefly wandering the streets, I dined at an Ennis restaurant that’s entirely worthy of the trip alone to the city – Peckish Vegan Cafe. Peckish Vegan Cafe is owned by Meanwell, a whole foods market located right across the street. The cafe is open from 09:00-18:00 from Monday to Saturday (closed on Sunday). 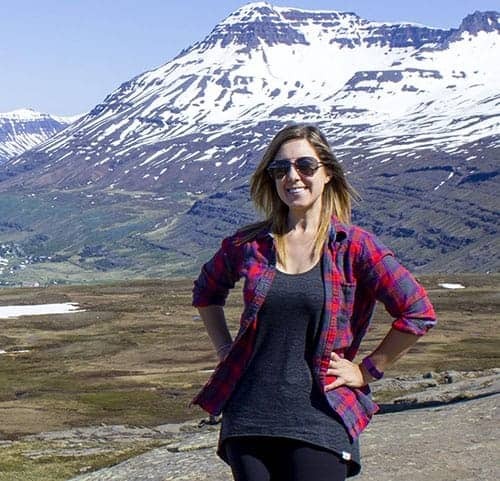 They serve breakfast and lunch options, as well as pastries, desserts, and a wide variety of beverages (smoothies, milkshakes, coffee, tea, and even wine and beer). 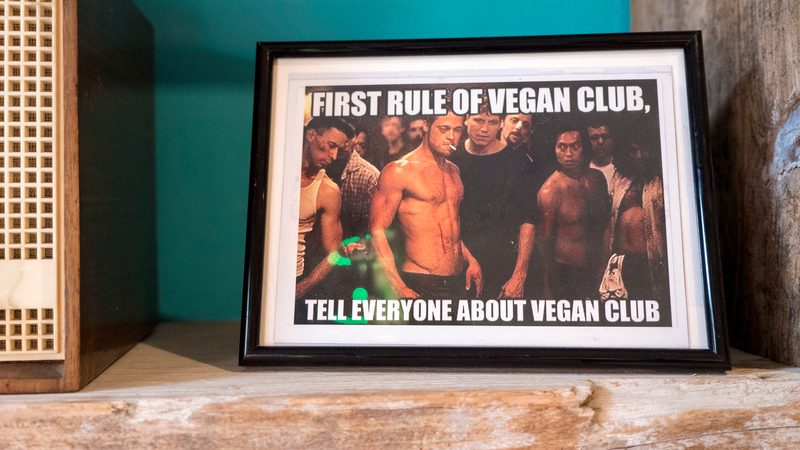 Everything is 100% vegan and plant-based. Vegans, rejoice! I was excited to choose anything off the entire menu without searching through ingredients listings. I loved the offbeat art and decorations around this Ennis restaurant. 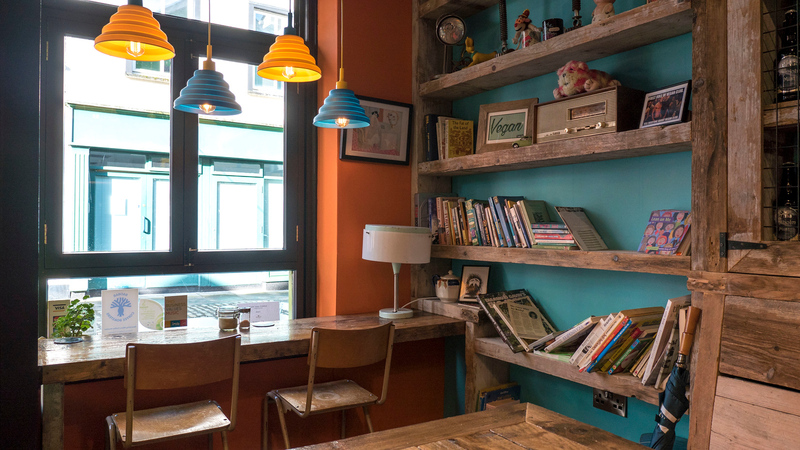 Many spaces felt more like a friend’s home than a restaurant. 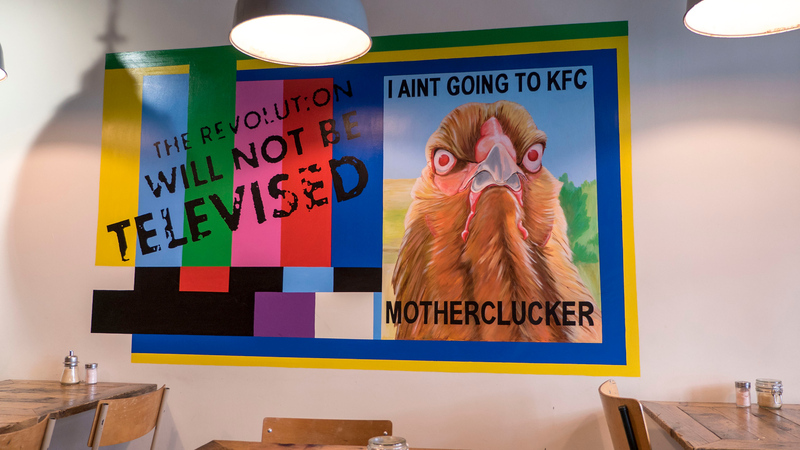 There’s a painting on the wall with a chicken stating, “I ain’t going to KFC, motherclucker” and a framed meme depicting the movie, Fight Club, with the words, “First rule of vegan club, tell everyone about vegan club.” Add kitschy decorations, the odd antique, and throw pillows with dogs dressed as historical figures to the mix, and you’ve got yourself Peckish Vegan Cafe in a nutshell! 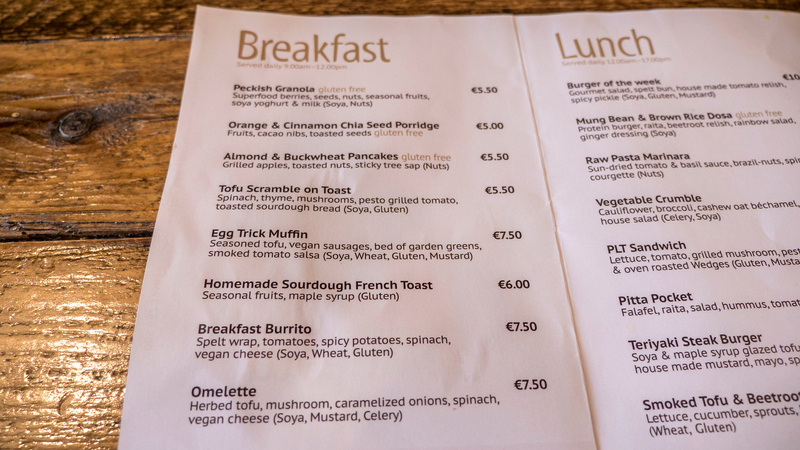 Breakfast is served daily from 09:00-12:00 and there are several menu choices, as well as a morning special. 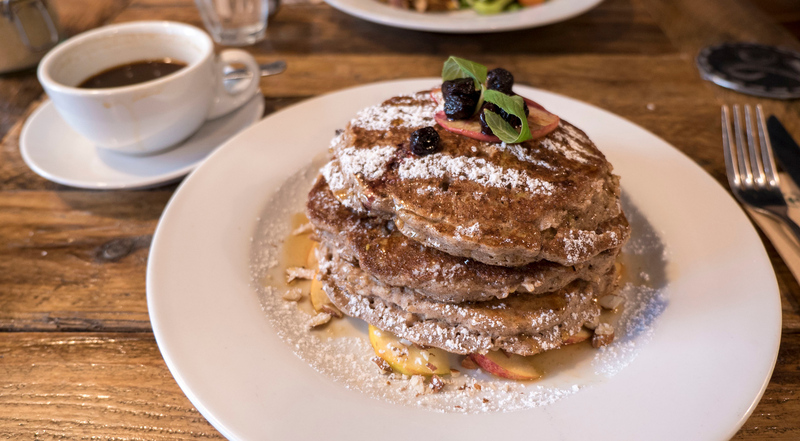 I chose the almond and buckwheat pancakes (with grilled apples, toasted nuts, and sticky tree sap) that also happened to be gluten-free. All allergens are marked on the menu should you be allergic to wheat, soy, or other common allergens). Be sure to check the Meanwell website for the current menu. 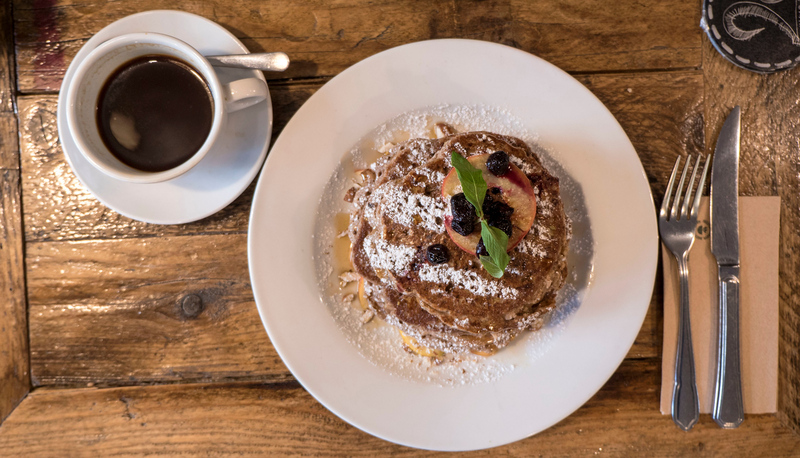 The pancakes were stacked high on top of apples and topped with fresh fruit. While the presentation was beautiful, the pancakes somehow tasted even better than they looked. I ate as much as humanly possible because they were so delicious. Of course, I paired the pancakes with a cup of coffee because…well, coffee is life. Check out my entire travel photo album from Ennis, Ireland! You can purchase housewares, prints, and so much more directly from my Smugmug photography site. Even though I wasn’t able to give Ennis the attention that it deserves, I’m really glad that I stopped by this Ennis restaurant. Peckish Vegan Cafe did not disappoint, and I can’t wait to return to Ennis to properly explore it. You’d better believe that I’ll be stopping by Peckish for another sumptuous meal. 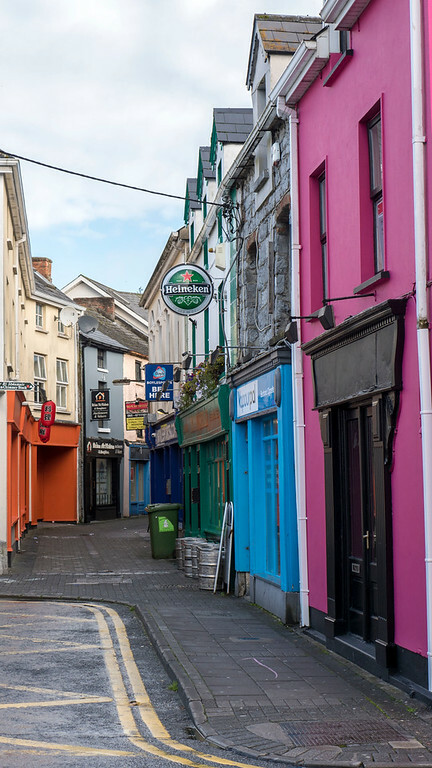 Have you ever visited Ennis, Ireland?